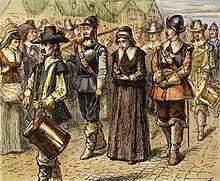 During and after the English Civil War (1642–1651) many dissenting Christian groups emerged, including the Seekers and others. 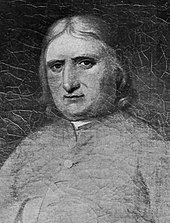 A young man, George Fox, was dissatisfied with the teachings of the Church of England and non-conformists. He had a revelation that "there is one, even, Christ Jesus, who can speak to thy condition",  and became convinced that it was possible to have a direct experience of Christ without the aid of an ordained clergy. In 1652 he had a vision on Pendle Hill in Lancashire, England, in which he believed that "the Lord let me see in what places he had a great people to be gathered". Following this he travelled around England, the Netherlands,  and Barbados  preaching and teaching with the aim of converting new adherents to his faith. The central theme of his Gospel message was that Christ has come to teach his people himself. His followers considered themselves to be the restoration of the true Christian church, after centuries of apostasy in the churches in England. 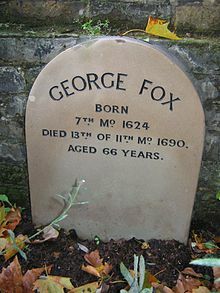 In 1650, Fox was brought before the magistrates Gervase Bennet and Nathaniel Barton, on a charge of religious blasphemy. According to Fox's autobiography, Bennet "was the first that called us Quakers, because I bade them tremble at the word of the Lord". :125 It is thought that Fox was referring to Isaiah 66:2 or Ezra 9:4. Thus, the name Quaker began as a way of ridiculing Fox's admonition, but became widely accepted and is used by some Quakers. Quakers also described themselves using terms such as true Christianity, Saints, Children of the Light, and Friends of the Truth, reflecting terms used in the New Testament by members of the early Christian church. 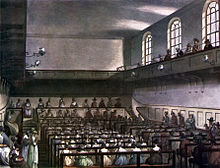 Quakerism gained a considerable following in England and Wales, and the numbers increased to a peak of 60,000 in England and Wales by 1680  (1.15% of the population of England and Wales). But the dominant discourse of Protestantism viewed the Quakers as a blasphemous challenge to social and political order,  leading to official persecution in England and Wales under the Quaker Act 1662 and the Conventicle Act 1664. This was relaxed after the Declaration of Indulgence (1687–88) and stopped under the Act of Toleration 1689. Isaac Crewdson was a Recorded Minister in Manchester, UK. His 1835 book A Beacon to the Society of Friends strongly argued that the inner light could not exist alongside a religious belief in salvation by the atonement of Christ. (p155) This Christian controversy led to Crewdson's resignation from the Religious Society of Friends, along with 48 fellow members of Manchester Meeting and about 250 other British Quakers in 1836–37. Some of these joined the Plymouth Brethren Church. Following the Christian revivals in the mid-19th century, Friends in Great Britain wanted to start missionary activity overseas. The first missionaries were sent to Benares ( Varanasi), in India, in 1866. The Friends Foreign Mission Association was formed in 1868, and sent missionaries to Madhya Pradesh, India, forming what is now Mid-India Yearly Meeting; and later to Madagascar from 1867, China from 1896, Sri Lanka from 1896, and Pemba Island from 1897. 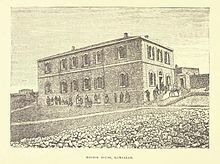 The Friends Syrian Mission was established in 1874, which among other institutions ran the Ramallah Friends Schools, which still exist today. Swiss missionary Theophilus Waldmeier founded Brummana High School in Lebanon in 1873. Evangelical Friends Churches from Ohio Yearly Meeting sent missionaries to India in 1896,  forming what is now Bundelkhand Yearly Meeting. Cleveland Friends went to Mombasa, Kenya, and started what was the most successful Friends' mission. Christian Quakerism spread within Kenya and to Uganda, Tanzania, Burundi, and Rwanda. The theory of evolution described by Charles Darwin in On the Origin of Species (1859) was opposed by many Quakers in the 19th century,  particularly by older evangelical Quakers who dominated the Religious Society of Friends in Great Britain. These religious leaders were suspicious of Darwin's theory, and believed that natural selection needed to be supplemented by another process. For example, influential British Quaker scientist Edward Newman  said the theory was "not compatible with our notions of creation as delivered from the hands of a Creator". 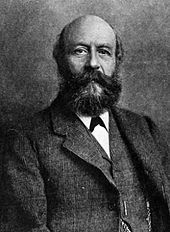 But some young Friends, such as John Wilhelm Rowntree and Edward Grubb, supported Darwin's theories, adopting a doctrine of progressive revelation with evolutionary ideas. In the United States, Joseph Moore taught the theory of evolution at the Quaker Earlham College as early as 1861  and was probably one of the first teachers in the Midwest to do so. Acceptance of the theory of evolution became more widespread in those Yearly Meetings, which moved toward liberal Christianity in the 20th century, while a belief in creationism persists within evangelical Friends Churches, particularly in East Africa and parts of the U.S.
During World War I and World War II, Friends' opposition to war was put to the test. 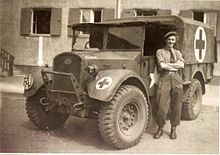 Many Friends became conscientious objectors and some formed the Friends Ambulance Unit with the aim of co-operating with others to build up a new world rather than fighting to destroy the old, and the American Friends Service Committee. Birmingham, UK had a strong Quaker community during the war. Many British Quakers were conscripted into the Non-Combatant Corps during both world wars. In the 1650s, individual Quaker women prophesied and preached publicly, developing charismatic personas and spreading the sect. This practice was bolstered by the movement's firm concept of spiritual equality for men and women. Moreover, Quakerism initially was propelled by the nonconformist behaviours of its followers, especially women who broke from social norms. By the 1660s, the progress of the movement resulted in more structured organisation, which led to separate women's meetings. Through the women's meeting, women oversaw domestic and community life, including marriage. From the beginning, Quaker women, most notably Margaret Fell, played an important role in defining Quakerism. Others active in proselytising included Mary Penington, Mary Mollineux and Barbara Blaugdone. Quaker women even published at least 220 texts during the seventeenth century. But some within the Quaker movement resented the power of women within the community. In the early years of Quakerism, George Fox faced resistance in developing and establishing women's meetings. 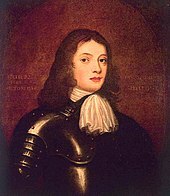 As controversy increased, Fox did not fully adhere to this agenda; for example, he established the London Six Weeks Meeting in 1671, as a regulatory body, led by 35 women and 49 men. 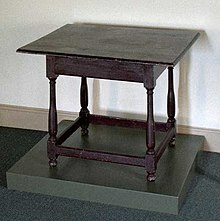 Regardless, conflict culminated in the Wilkinson–Story split, in which a portion of the Quaker community left to worship independently in protest of women's meetings. After several years, the schism became largely resolved, testifying to the resistance of some within the Quaker community, and to the spiritual role of women that Fox and Margaret Fell had encouraged. Also particularly within the relatively prosperous Quaker communities of the eastern United States, the focus on the child and "holy conversation" gave women unusual community power, although they were largely excluded from the market economy. With the Hicksite–Orthodox split of 1827–28, Orthodox women found their spiritual role decreased, while Hicksite women retained greater influence. Described as "natural capitalists" by the BBC, dynasties of Quakers were successful in business matters. This included ironmaking by Abraham Darby I (which played an important role in the Industrial Revolution that commenced in Britain),   and his family; banking, including Lloyds Banking Group (founded by Sampson Lloyd),  Barclays PLC,  Backhouse's Bank and Gurney's Bank; life assurance ( Friends Provident); pharmaceuticals ( Allen & Hanburys ); chocolate ( Cadbury,  Terry's, Fry's ); confectionery ( Rowntree ); biscuit manufacturing ( Huntley & Palmers ); match manufacture ( Bryant & May, Francis May and William Bryant) and shoe manufacturing ( Clarks). Initially, Quakers had no ordained clergy, and thus needed no seminaries for theological training. In England, Quaker schools sprang up, with Friends School Saffron Walden being the most prominent. Later in America they founded William Penn Charter School (1689), Wilmington Friends School (1748),  Moorestown Friends School (1785), Westtown School (1799), Germantown Friends School (1845), Scattergood Friends School (1890), Haverford College (1833),  Guilford College (1837), Olney Friends School (1837), Pickering College (1842), Earlham College & Earlham School of Religion (1847), Swarthmore College (1864), Wilmington College (Ohio) (1870), Penn College (Iowa) (1873), Bryn Mawr College (1885), Friends Pacific Academy (now George Fox University) (1885), Cleveland Bible College (now Malone University) (1892),  George School (1893), Friends University (1898), Training School for Christian Workers (now Azusa Pacific University) (1899),  Whittier College (1901), and Friends Bible College (now Barclay College) (1917). In Australia, the Friends' School, Hobart was founded in 1887 and has grown to become the largest Quaker school in the world. In Great Britain, they organised Woodbrooke College in 1903. In Kenya, Quakers founded Friends Bible Institute (now Friends Theological College) in Kaimosi, Kenya, in 1942. Quakers' theological beliefs vary considerably. Tolerance of dissent widely varies among yearly meetings. Most Friends believe in continuing revelation: that God continuously reveals truth directly to individuals. George Fox, an " early Friend", said, "Christ has come to teach His people Himself." Friends often focus on trying to hear God. As Isaac Penington wrote in 1670, "It is not enough to hear of Christ, or read of Christ, but this is the thing—to feel him to be my root, my life, and my foundation..."  Quakers reject the idea of priests, believing in the priesthood of all believers. Some express their concept of God using phrases such as "the inner light", "inward light of Christ", or "Holy Spirit". Diverse theological beliefs, understandings of the "leading of the Holy Spirit", and statements of "faith and practice" have always existed among Friends. Due in part to the emphasis on the immediate guidance of the Holy Spirit, Quaker doctrines have only sometimes been codified as statements of faith, confessions or theological texts; those that do exist include the Letter to the Governor of Barbados ( Fox, 1671),  An Apology for the True Christian Divinity ( Barclay, 1678),  A Catechism and Confession of Faith ( Barclay, 1690),  The Testimony of the Society of Friends on the Continent of America (adopted jointly by all orthodox yearly meetings in U.S., 1830),  the Richmond Declaration of Faith (adopted by Five Years Meeting, 1887),  and Essential Truths ( Jones and Wood, adopted by Five Years Meeting, 1922). As a public statement of faith, most yearly meetings publish their own Book of Discipline, which expresses Christian discipleship within the experience of Friends in that yearly meeting. Conservative Friends (also known as "Wilburites" after their founder, John Wilbur), share some of the beliefs of Fox and the Early Friends. 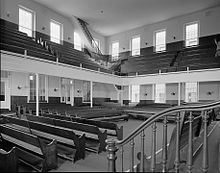 Many Wilburites see themselves as the Quakers whose beliefs are truest to original Quaker doctrine, arguing that the majority of Friends "broke away" from the Wilburites in the 19th and 20th centuries (rather than vice versa). Conservative Friends place their trust in the immediate guidance of God. They completely reject all forms of religious symbolism and outward sacraments, such as the Eucharist and water baptism. Conservative Friends do not believe in relying upon the practice of outward rites and sacraments, to have a living relationship with God through Christ; believing that holiness can exist in all of the activities of one's daily life—and that all of life is sacred in God. Many Conservative Friends believe that a meal held with others can become a form of communion with God, and with one another. In 2007, total membership of these Yearly Meetings was around 1642,  making them around 0.4% of the world family of Quakers. Evangelical Friends regard Jesus Christ as their personal Lord and Saviour,  and have similar religious beliefs to other evangelical Christians. They believe in, and hold a high regard for, the penal substitution of the atonement of Christ on the Cross at Calvary, biblical infallibility, and the need for every person to personally experience a relationship with God. They believe that the purpose of the Evangelical Friends Church is to evangelise the unsaved people of the world, to spiritually transform them through God's love and through social service to others. Evangelical Friends regard the Bible as the infallible and self-authenticating Word of God. The statement of faith of Evangelical Friends International is comparable to the statement of faith of other Evangelical churches. Evangelical Friends who are members of Evangelical Friends International are mainly located in the U.S., Central America, and Asia. 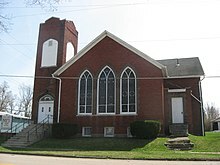 Beginning in the 1880s, some Friends began using outward sacraments in their Sunday services, first in Evangelical Friends Church–Eastern Region (then known as Ohio Yearly Meeting [Damascus]). Friends Church–Southwest Region has also approved the practice of using the outward sacraments in their Sunday services. In places where Evangelical Friends are engaged in missionary work, such as in Africa, Latin America, and Asia, adult baptism by immersion in water is carried out. This practice differs from most other Quaker branches of the Religious Society of Friends. As of 2014 [update], EFCI claims to represent more than 140,000 Friends,  roughly 39% of the total number of Friends worldwide. Universalist Friends affirm religious pluralism, that there are many different paths to God and that understandings of the divine reached through non-Christian religious experiences are as valid as Christian understandings. This group was founded in the late 1970s by John Linton. Linton had worshipped God with the Delhi Worship Group in India (an independent meeting not affiliated to any yearly meeting or wider Quaker group) with Christians, Muslims and Hindus worshipping together. Following a move to Great Britain, he founded the Quaker Universalist Fellowship in 1978. Later his views spread to the US, where the Quaker Universalist Fellowship was founded in 1983. Most of the Friends who joined these two fellowships were Liberal Friends from Britain Yearly Meeting in the United Kingdom, and Liberal Friends from Friends General Conference in the United States. Interest in Quaker Universalism is low among Friends from other Yearly meetings. The views of the Universalists provoked controversy[ citation needed] between themselves and Christian Quakers within Britain Yearly Meeting, and within Friends General Conference, during the 1980s. Despite the label, Quaker "Universalists" are not necessarily Christian Universalists, embracing the doctrine of universal reconciliation. Quakers bear witness or testify to their religious beliefs in their spiritual lives,  drawing on the James advice that faith by itself, if it is not accompanied by action, is dead. This religious witness is rooted in their immediate experience of God and verified by the Bible, especially in Jesus Christ's life and teachings. They may bear witness in many ways, according to how they believe God is leading them. Although Quakers share how they relate to God and the world, mirroring Christian ethical codes, for example the Sermon on the Mount or the Sermon on the Plain, Friends argue that they feel personally moved by God rather than following an ethical code. In the UK, the acronym STEP or PEST is used (peace, equality, simplicity and truth). 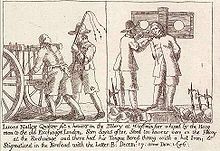 In his book Quaker Speak, British Friend Alastair Heron, lists the following ways in which British Friends testify to God:  Opposition to betting and gambling, capital punishment, conscription, hat honour (the largely historical practice of dipping one's hat toward social superiors), oaths, slavery, times and seasons, tithing and promotion of integrity (or truth), peace, penal reform, plain language, relief of suffering, simplicity, social order, Sunday observance, sustainability, temperance and moderation. Quakers traditionally use numbers to denominate the names of the months and days of the week, something they call the plain calendar. This does not use names of calendar units derived from the names of pagan deities. The days begin with First Day (Sunday) and ends on Seventh Day (Saturday), and months run from First Month (January) to Twelfth Month (December). This is based on the terms used in the Bible: e.g., Jesus Christ's followers went to the tomb early on the First Day of the week. The plain calendar emerged in the 17th century in England in the Puritan movement, but became closely identified with Friends by the end of the 1650s, and was commonly employed into the 20th century. It is less commonly encountered today. The term First Day School is commonly used, for what is called by most churches Sunday School. In programmed worship there is often a prepared Biblical message, which may be delivered by an individual with theological training from a Bible College. There may be hymns, a sermon, Bible readings, joint prayers and a period of silent worship. The worship resembles the church services of other Protestant denominations, although in most cases does not include the Eucharist. A paid pastor may be responsible for pastoral care. Worship of this kind is celebrated by about 89% of Friends worldwide. (p5–6) It is found in many Yearly Meetings in Africa, Asia and parts of the US (central and southern), and is common in programmed meetings affiliated to Friends United Meeting, (who make up around 49% of worldwide membership (p5)), and evangelical meetings, including those affiliated to Evangelical Friends International, (who make up at least 40% of Friends worldwide (p5–6)). The religious event is sometimes called a Quaker meeting for worship or sometimes called a Friends church service. This religious tradition arose among Friends in the United States, in the 19th century, and in response to the many converts to Christian Quakerism during the national spiritual revival of the time. Friends meetings in Africa and Latin America were generally started by Orthodox Friends from programmed elements of the Society, therefore most African and Latin American Friends worship in a programmed style. Unprogrammed worship (also known as waiting worship, "silent worship", or holy communion in the manner of Friends) is based on the practices of George Fox and the Early Friends, who based their religious beliefs and practices on their interpretation of how the early Christians worshipped God their Heavenly Father. Friends gather together in "expectant waiting upon God" to experience his still small voice leading them from within. There is no plan on how the meeting will proceed, and actual practice varies widely between Meetings and individual worship services. Friends believe that God plans what will happen, with his spirit leading people to speak. When a participant feels led to speak, he or she will stand and share a spoken message of (" vocal ministry") in front of others. When this happens, Quakers believe that the spirit of God is speaking through the speaker. After someone has spoken, it is customary to allow a few minutes pass in silence for reflection on what has been said, before further vocal ministry is given. Sometimes a meeting is entirely silent, sometimes many speak. These meetings lasted for several hours in George Fox's day. Modern meetings are often limited to an hour, ending when two people (usually the elders) exchange the sign of peace by handshake. This handshake is often shared by the others. This style of worship is the norm in Great Britain, Ireland, the continent of Europe, Australia, New Zealand, Southern Africa, Canada, and parts of the United States (particularly yearly meetings associated with Friends General Conference and Beanite Quakerism)—constituting about 11% :page 5 of Quakers. Those who worship in this style hold each person to be equal before God and capable of knowing the light of God directly. Anyone present may speak if they feel led to do so. Traditionally, Recorded Ministers were recognised for their particular gift in vocal ministry. This religious practice continues among Conservative Friends and Liberal Friends (e.g. New York Yearly Meeting ). Many meetings where Liberal Friends predominate abolished this religious practice. London Yearly Meeting of Friends abolished the acknowledging and recording of Recorded Ministers in 1924. Quakers today are organised into independent and regional, national bodies called Yearly Meetings, which have often split from one another because of Christian doctrinal differences. Several associations unite Quakers who share similar religious beliefs—for example Evangelical Friends Church International unites evangelical Christian Friends;  Friends United Meeting unites Friends into "fellowships where Jesus Christ is known, loved, and obeyed as Teacher and Lord;"  and Friends General Conference links together Quakers that have non-creedal, liberal religious beliefs. Many Quaker Yearly Meetings, are also members of Friends World Committee for Consultation, an international fellowship of Yearly Meetings from different Quaker religious traditions. A meeting for worship for the solemnisation of marriage in an unprogrammed Friends meeting is similar to any other unprogrammed Meeting for Worship. The pair exchange vows before God and gathered witnesses, and the meeting returns to open worship. At the rise of meeting, the witnesses, including the youngest children, are asked to sign the wedding certificate as a record. 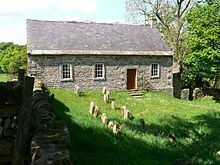 In Great Britain, Quakers keep a separate record of the union and notify the General Register Office. Quakerism started in England and Wales, and quickly spread to Ireland, the Netherlands,  Barbados  and North America. Today Kenya is, by far, the country with the most Quakers. Other countries with over 5,000 Quakers are Burundi, Bolivia, Canada, Guatemala, Nepal, Taiwan, Uganda, United Kingdom, and the United States. 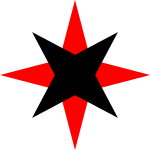 Although the total number of Quakers is around 377,000 worldwide,  Quaker influence is concentrated in Philadelphia, Pennsylvania; Kaimosi, Kenya; Newberg, Oregon; Greenleaf, Idaho; Whittier, California; Richmond, Indiana; Friendswood, Texas; Birmingham, England; Ramallah, Palestine, and Greensboro, North Carolina. The highest concentration of Quakers is in Africa. The Friends of East Africa were at one time part of a single East Africa Yearly Meeting, then the world's largest yearly meeting. Today, this region is served by several distinct yearly meetings. Most of these are affiliated with the Friends United Meeting, practise programmed worship and employ pastors. Friends meet in Rwanda and Burundi, as well as new work beginning in North Africa. Small unprogrammed meetings exist also in Botswana, Ghana, Lesotho, Namibia, Nigeria, South Africa and Zimbabwe. Considerable distances between the colonies and small numbers of Quakers meant that Australia Friends were dependent on London until the 20th century. The Society remained unprogrammed and is named Australia Yearly Meeting, with local organizations around seven Regional Meetings: Canberra (which extends into southern New South Wales), New South Wales, Queensland, South Australia (which extends into Northern Territory), Tasmania, Victoria, and Western Australia. The Friends' School is found in Hobart. An annual meeting each January, is hosted by a different Regional Meeting over a seven-year cycle, with a Standing Committee each July or August. The Australia Yearly Meeting published This We Can Say: Australian Quaker Life, Faith and Thought, in 2003. Meetings for worship in New Zealand started in Nelson in 1842, and in Auckland in 1885. In 1889 it was estimated that there were about 30 Quakers in Auckland. The New Zealand Yearly Meeting, today consists of nine monthly meetings. The Yearly Meeting published Quaker Faith and Practice in Aotearoa New Zealand, in 2003. Ireland Yearly Meeting is unprogrammed and is more conservative than Britain Yearly Meeting. They have 1,591 members  in 28 meetings  across the Republic of Ireland, and in Northern Ireland. German Yearly Meeting is unprogrammed and liberal, and has 340 members,  worshipping in 31 meetings, in Germany and in Austria. Many Quakers prior to the 20th century, considered the Religious Society of Friends to be a Christian movement, but did not feel that their religious faith fit within the categories of Catholic, Orthodox, or Protestant. Many Conservative Friends, while fully seeing themselves as orthodox Christians, choose to remain separate from other Christian groups. Guerneyite Friends would typically see themselves as part of an orthodox Christian movement and work closely with other Christian groups. Friends United Meeting (the international organisation of Gurneyite yearly meetings) is a member of the National Council of Churches  and the World Council of Churches,  which are pan-Christian organisations, which include Protestant, Orthodox, and Anglican churches. Early Friends attempted to convert adherents of other world religions to Christianity. For example, George Fox wrote a number of open letters to Jews and Muslims, in which he encouraged them to turn to Jesus Christ as the only path to salvation (e.g. A Visitation to the Jews,  To the Great Turk and King of Algiers in Algeria, and all that are under his authority, to read this over, which concerns their salvation   and To the Great Turk and King of Algiers in Algeria). Mary Fisher attempted to convert the Muslim Mehmed IV (the Sultan of the Ottoman Empire) in 1658. Since the late 20th century, some attenders at Liberal Quaker Meetings have actively identified with world faiths other than Christianity, such as Judaism, Islam,  Buddhism  and Paganism. ^ Bronner, Edwin B. (1990). "Moderates in London Yearly Meeting, 1857–1873: Precursors of Quaker Liberals". Church History. 59 (3): 356–371. doi: 10.2307/3167744. JSTOR 3167744. ^ a b Packer, Ian (1 April 2003). "Religion and the New Liberalism: The Rowntree Family, Quakerism and Social Reform". Journal of British Studies. 42 (2): 236–257. doi: 10.1086/345607. ISSN 0021-9371. JSTOR 10.1086/345607. ^ Friends United Meeting in East Africa (2002) " Christian Faith and Practice in the Friends Church". ^ Rocky Mountain Yearly Meeting of the Friends Church (1997) " The Faith and Practice Archived 27 June 2012 at the Wayback Machine"
Vlach, John Michael. "Quaker Tradition and the Paintings of Edward Hicks: A Strategy for the Study of Folk Art", Journal of American Folklore. Vol. 94, 1981. doi: 10.2307/540122. JSTOR 540122.